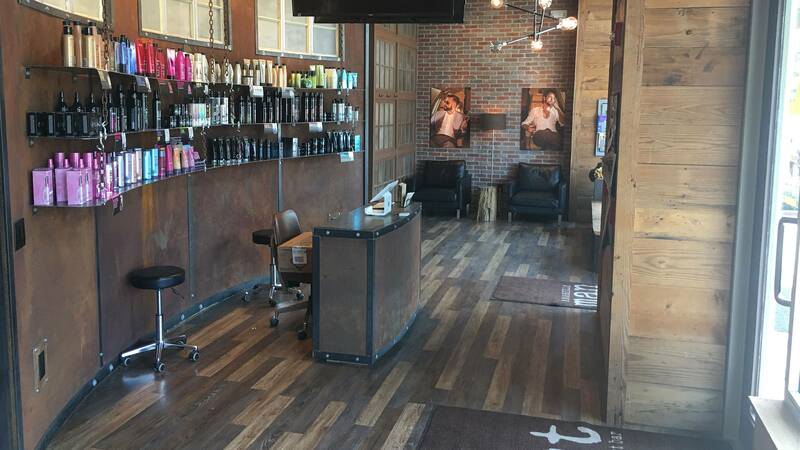 Amarillo Man/Cut Salon & Blowout Bar plans a second location. James Koch will take to his downtown urban salon concept to a west Amarillo development also relying on that town center sort of feel. Amarillo Man and Cut Salon and Blowout Bar will establish a second location in the Town Square Village neighborhood under development by The Williams Group. "My heart and soul is downtown," Koch said. "But this is going to have a similar feel, and that's what I liked about it. It will seem a little familiar, where you can park one time and get out and walk around — like downtown's going to be." Koch has been busy designing the storefront and the salon itself. "It's going to be bigger than my salon downtown," he said. "I have 14 chairs total downtown, and that includes the barbershop. In Town Square, I have 19 chairs. It's just a bigger space. The biggest difference over there is the blowout bar and shampoo area will be its own private area." But "it will look and feel the same — industrial," he said. Koch has added some of the staff he needs to run a second store, but still needs eight to 10 more new hires. Koch opened the downtown location in 2015. The new salon could be open by the end of August on the northwest end of Town Square Boulevard, north of Awaken Spa. Karen Welch is a senior content producer for Panhandle PBS. She can be contacted at Karen.Welch@actx.edu, at @KWelch806 on Twitter and at www.facebook.com/karensmithwelch on Facebook.